No one has ever seen God. But the unique One [Jesus], who is himself God, is near to the Father’s heart. He has revealed God to us. God is much too holy to be seen by human eyes. An encounter with the Holy God of Israel was beyond the scope of human capability. Jesus, however, came as God in human flesh, Immanuel, God with us! (Matthew 1:23) So Jesus did much more than tell us about God. He revealed God. 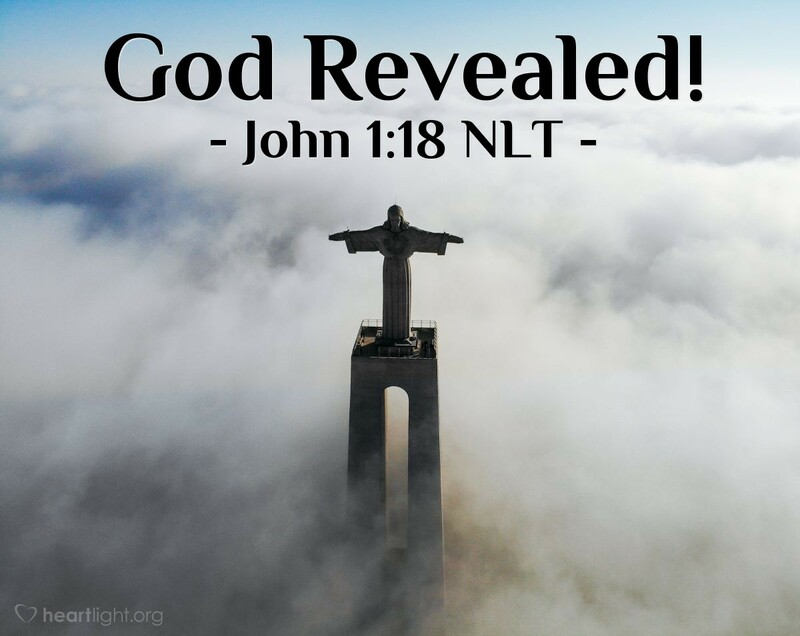 Jesus is God revealed. In his touch of the leper, in his raising of Lazarus, in his healing of the blind, in his feeding of the 5000, we see God at work and God in love with his human creation. Jesus is the great reminder that God not only wanted to know us but that he also wanted to be known by us. So as John finishes his beautiful prologue, please hear his invitation to come and see what Jesus did and know his life on earth was God at work, God in ministry, and God offering us his love. Holy and righteous Father, thank you for wanting to make yourself known to me. Open the eyes of my heart, Lord, and in Jesus' ministry help me fully see you and your love for me and your call upon my life. I pray this in the name of Jesus, Immanuel. Amen.